Hardman Signs can produce the retail signs that you need to make your product and your company visibility soar. As a full-service retail signage company, we employ a talented staff of engineers, sign fabricators, project managers and more dedicated to matching you with the custom signage that you need. 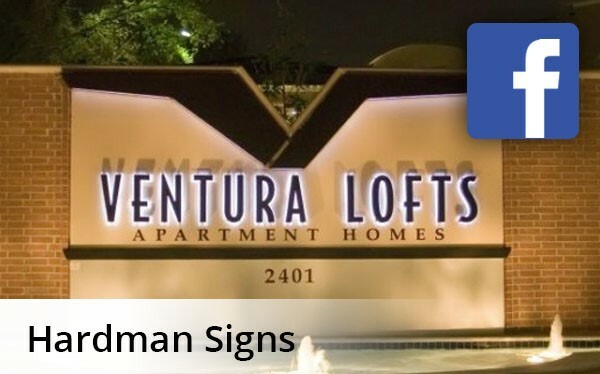 Whether you require sidewalk signs, store signs or advertising signs, Hardman Signs is sure to have what you need at a price that you can afford. Retail signs are created by our design staff according to your specifications. All retail signage is manufactured using the best-quality materials in an expansive Hardman Signs fabrication facility. The process is overseen by a project manager, and permits are procured by our administrative staff to ensure that your sidewalk signs and store signs can be placed where you need them to be. Trusting your retail and adverting signs requirements to Hardman Signs makes the job easy. Looking for professional retail signs? Contact Hardman Signs today. We enjoy a well-deserved reputation as the top producers of Houston retail signs, Austin retail signs and Atlanta retail signs - and we'd love for you to find out why! To learn more, fill out our no-obligation quote form or call us today.